Whether you’re a frequent flyer or planning your first flight, travelling by air isn’t always easy. Unexpected delays, security screenings, and long line-ups can all take their toll – and that’s before the plane even starts boarding! If you’re one of the many travellers who are susceptible to motion sickness, air travel can be particularly challenging. No one wants to worry about nausea, vomiting or dizziness creeping up in the middle of a flight, but knowing what steps to take to avoid airsickness can help. How can I avoid airsickness? If possible, try to travel at night so you can easily fall asleep during your flight. Otherwise, close your eyes and keep your head still. When planning your trip, pick seats towards the front of plane or over the wing by the window where motion is reduced. Stick to smaller meals, and avoid caffeine and alcohol prior to air travel. Stay hydrated by drinking lots of water instead. To prevent airsickness, take GRAVOLTM an hour or so before your flight. 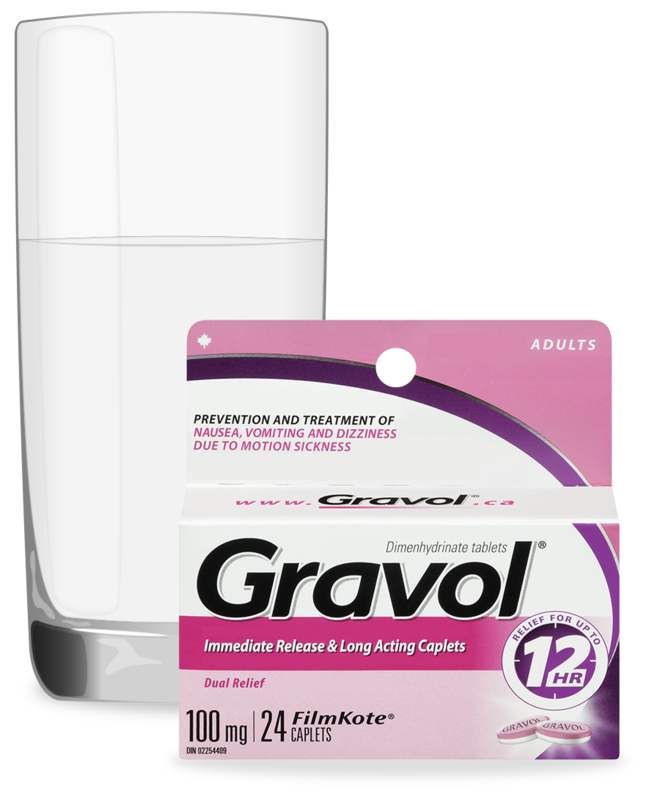 For extended travels, GRAVOLTM Fast Acting and Long Lasting Capsules releases medicine for up to 12 hours. How can I reduce the symptoms of airsickness? Turn the overhead air vent towards your face. Focus on taking slow, deep breaths to relax. Rest your head against the back of your seat and keep it as still as possible. 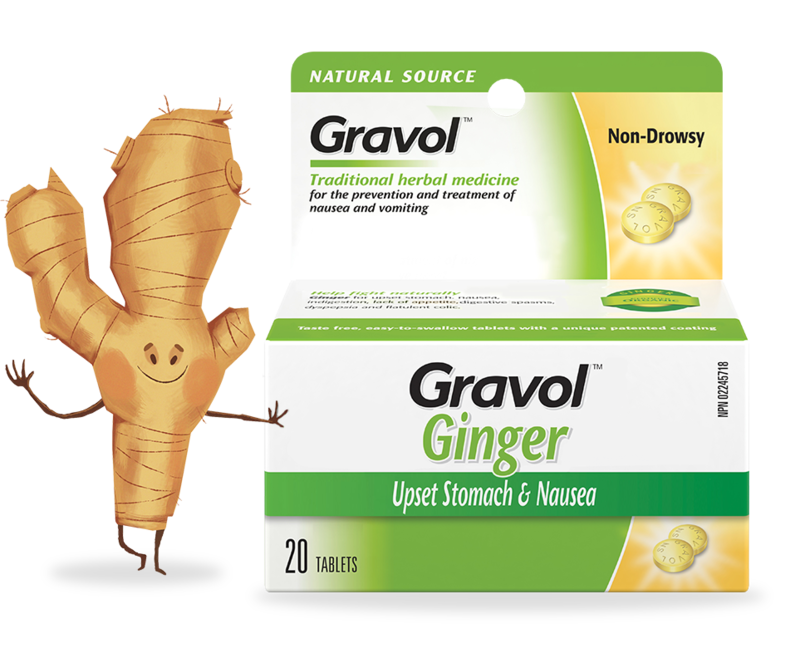 A dose of GRAVOLTM helps treat nausea, vomiting and dizziness due to airsickness. 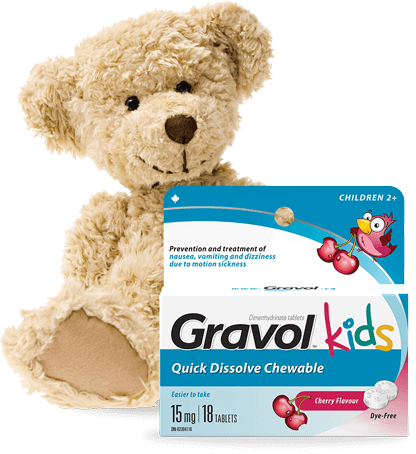 GRAVOLTM Quick Dissolve Chewable Tablets are an easy on the go solution that can be taken without water. Be sure to pack ahead as GRAVOLTM may not be available at the airport and is predominantly is sold in Canada. Remember, while airsickness isn’t always preventable, a bit of extra planning, like packing GravolTM in your carry-on, can help you have a better travel experience.